One of my most favorite things about summertime is making S’MORES with my family. I have to admit, one of my few talents in this life is making perfectly toasted marshmallows pretty much every single time 🙂 Ha! That’s okay to brag about that, right? 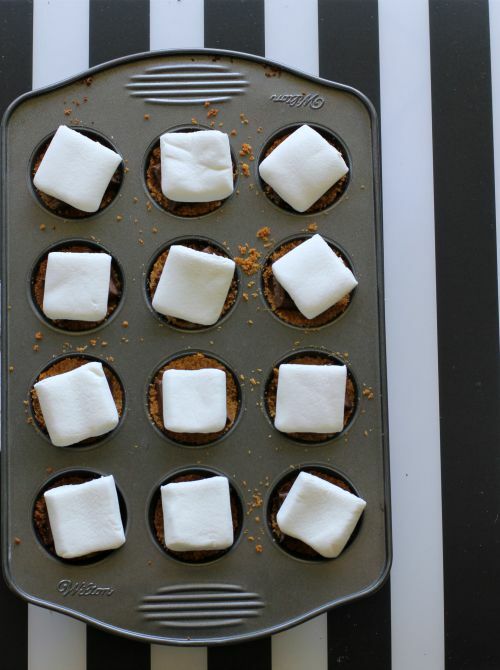 I’m also obsessed with anything S’MORE flavor so I thought it would be fun to share some my favorite recipes here on the blog. These yummy bite sized s’mores are quite addicting! 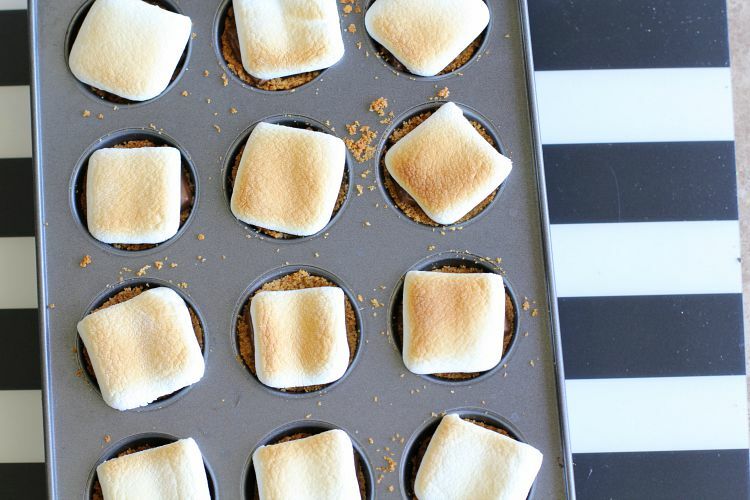 They are mini but are full of the S’more flavor. First: Make the graham cracker crust. Stir crumbs and sugar together and then mix in the butter. Firmly pack the crumbs into a mini muffin pan and bake for 6 minutes at 375 degrees. 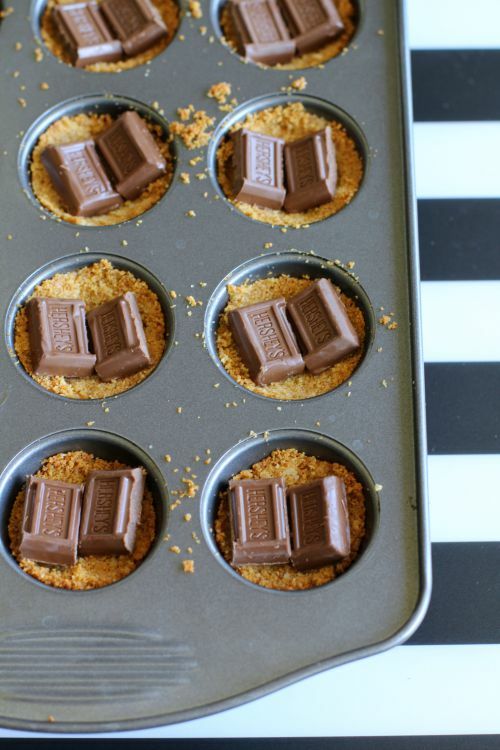 Remove from the oven and place 2 Hershey chocolate bar squares in the center. 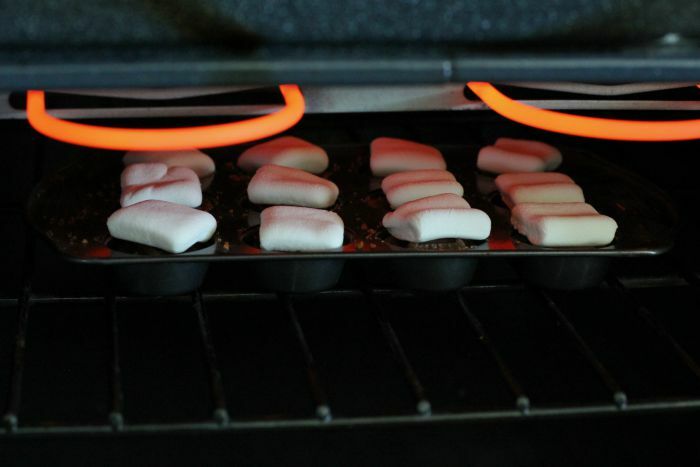 Place marshmallows on top. I use square marshmallows and them trim a little off each one to fit perfectly. Let them cool for a quick second and then try not to devour them all in one sitting 🙂 If you make these, I would love to know how you liked them! 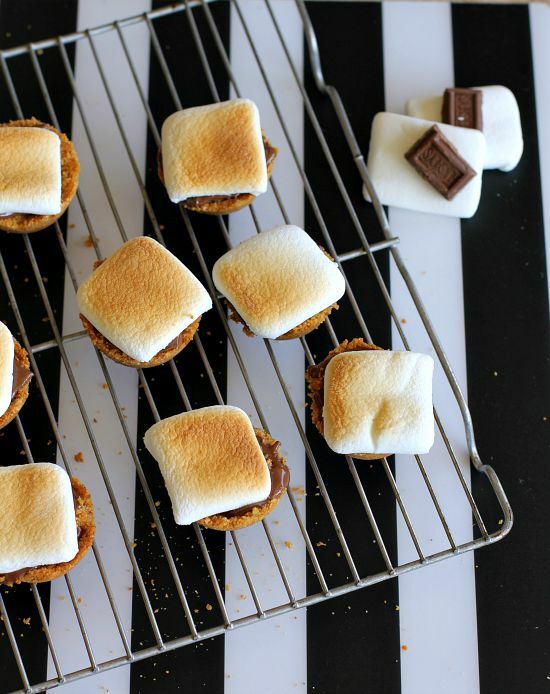 It’s a fun twist on your traditional s’more!